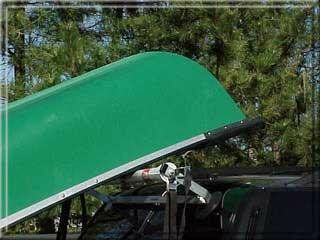 The easiest way to load a kayak or canoe. Attatches to your car in less than a minute using two vacum suction cups and two anti-slip straps. Canoe Loader from Rollerloader. Custom made (crude but efficient) for your vehicle and Canoe. Allows you to load your boat upside down. 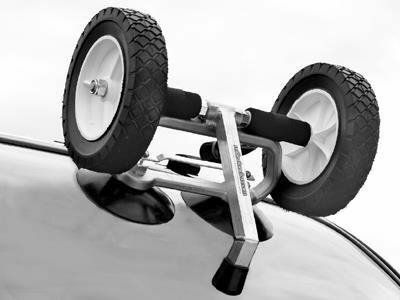 Attaches to you car easily using two vacuum suction cups and four anti-slip straps. 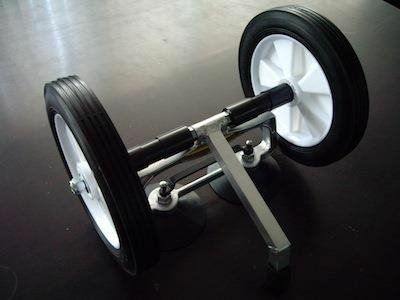 10" Wheels for the Rollerloader. Get more clearance for Spoilers and High Roofs.